Carlos Sainz is "very excited" to get up and running in McLaren's 2019 car. The Spanish driver has moved from the Renault works team to the once-great McLaren team, which struggled throughout Fernando Alonso's final years in F1 since 2015. "Carlos is very excited, very eager to start the tests here in Barcelona," Sainz's father Carlos Sainz, a world rally legend, told El Mundo Deportivo. "From there it will be known more or less if McLaren has done its homework well, whether Renault has done its homework well and the engine goes a little better, and if the chassis is better than it was last year with Fernando," Sainz snr added. "I think that by the time the Barcelona tests are over, they will know fairly well where they are." 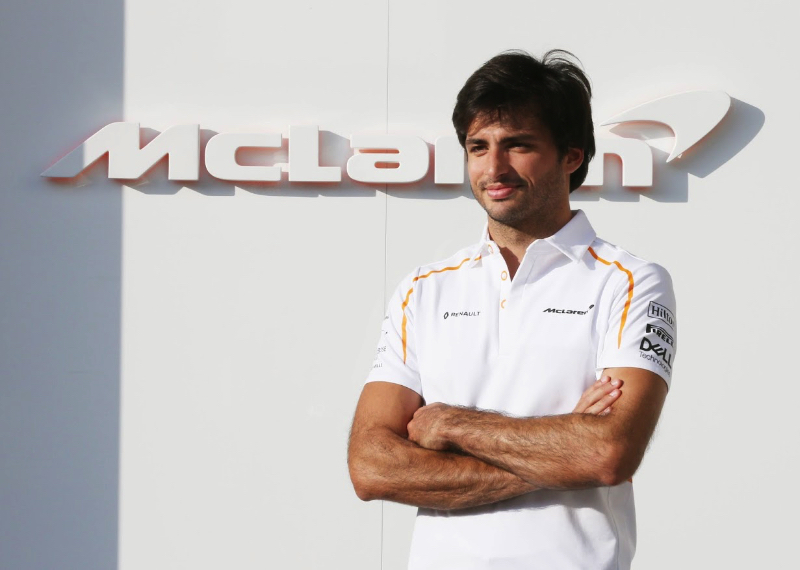 Sainz, 56, confirmed that his 24-year-old son has moved close to McLaren's Woking HQ. He said it is impossible for McLaren to set targets before the competitiveness of the new car is known. "Everything depends on the car," said Sainz snr. "You cannot talk about results without knowing that. "Maybe he'll do 11th or 13th places like Fernando did last year, or maybe it will be points and it's a super result," he added. "But I see a Carlos who is very motivated, very excited and eager to start." Sainz snr was also asked if Carlos is ready to cope with being Spain's only F1 driver, following Alonso's retirement. "He never felt badly treated, because when there is someone of Fernando's calibre, it's normal. It's normal to be in the shadow of an institution of motor sport. "But now that will be different and he is eager to take that on," Sainz snr added. Finally, he tipped Alonso - the new Daytona 24 hour winner - to do well this year when he tackles the Indy 500 and Le Mans again. "When someone is as gifted as Fernando, it is clear that wherever he goes he will do well, be it Le Mans, Daytona or anywhere else," said Sainz snr. "I think he demonstrates that every time he gets in any car."